In an age where technology runs most of our lives, it seems that everything we used to do in person can now be streamlined via the computer: paying bills, shopping, talking with long-distance friends and even online therapy. People have turned to therapists for a variety of reasons, but some issues require more sensitivity than others, which may lead people struggling with issues of depression or post-traumatic stress disorder less likely to seek help. Now, studies show that not only is a virtual therapy session just as beneficial as in-person treatments, but it also may be better in some cases. The idea of seeing a psychologist intimidates many people, and online therapy has sprung from a desire to help those people get the guidance they need without pressuring them to commit to an in-person session. In 2013, researchers at the University of Zurich put online counseling to the test to see if it was just as effective as traditional therapy. Though not the first study of its kind, researchers were surprised to note that the people who underwent online counseling actually fared better than the people who pursued traditional counseling. Three months after the study ended, 57 percent of the patients who did virtual therapy showed no signs of depression while only 42 percent of those in the conventional group improved. In an article published by CNN on the topic of instant messaging therapy, several issues are reported with virtual counseling like the fact that “therapists miss out on visual cues, gestures and speech intonations. Experts say it’s probably not going to make in-office sessions obsolete.” Not everyone responds well to instant messaging, email communication, text messages and other technology that mainly younger generations find appealing. For some, technology isn’t the only barrier to virtual help. Issues like intense PTSD, marital crises, thoughts of suicide and more pronounced forms of depression or mental illness require the in-person guidance of a therapist who specializes in these concerns. The studies that prove online therapy’s effectiveness have focused primarily on those with mild cases of depression. Despite the drawbacks to online counseling, there’s real hope for people who need help and don’t want to seek in-person care. Suicide chat rooms and websites devoted to adolescent issues have been popular for decades because they allow people to express their concerns anonymously without fear of judgment from a live person. Today’s virtual therapy sessions take the concept of internet help to the next level by pairing certified therapists with people who either can’t or won’t set up an office appointment. It seems likely that virtual therapy will continue to appeal to certain types of people, and its popularity will grow. 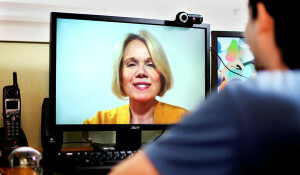 In the study conducted by University of Zurich researchers, people in both test groups reported high satisfaction with the “personal” level of their counseling, which means that even those who received virtual therapy found little to no issue with the lack of physical human presence in their counseling. This finding suggests that therapy can be customized for people with social anxiety disorders or those with aversions to visiting an office. Ongoing research indicates that online therapy will continue to play a vital role in the way that people seek and receive help.